ani M INTERIORS team is looking ahead to interior design’s next big thing. This autumn and winter’s interior design trends were dominated by an industrial retro look. 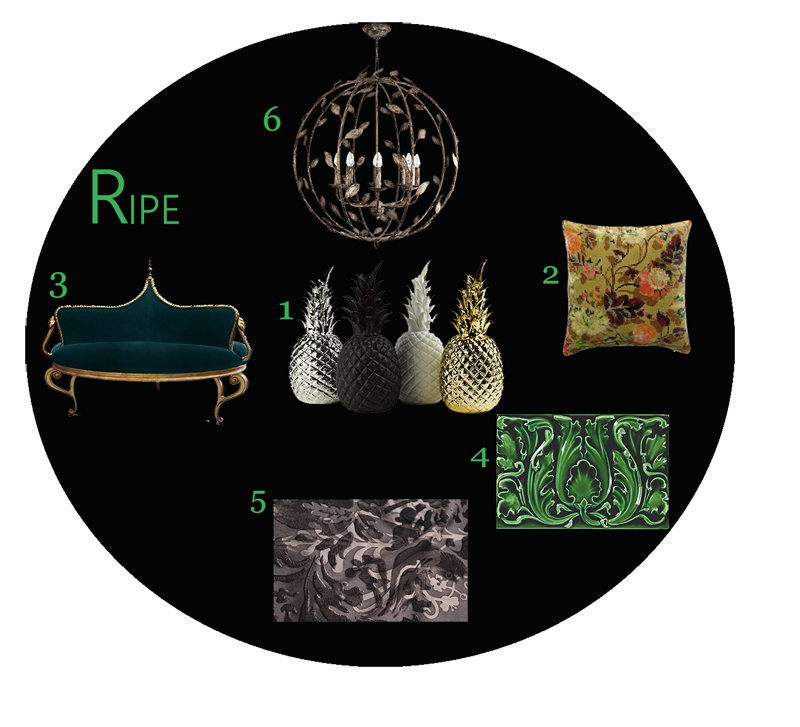 Bold colours of acid green and cool blue suggested copper verdigris and brought a utilitarian beauty to furnishings. ani M INTERIORS is already looking ahead. Autumn and winter interior design trends 2016 are a playful celebration of the natural world and an exploration of sense and colour. Cool hues enliven neutral tones, greenish blues draw from nature’s rich palette, sharp yellows and plum reds excite the senses while black draws everything together. Global Color Research’s Marie Rouillon gave a recent talk at Decorex noting how these colours play a significant part in the four interior trends to come: Strata, Abyss, Ripe and Play. The trends themselves are being driven by the consumer’s interest in the provenance of the materials used; a keenness to make best use of all materials including any by-products produced from the creation of materials; a desire to challenge the limits of what is expected or what is possible; and of having fun. These elements of the consumer zeitgeist have produced evocative interior design trends for next year. Here’s a guide to the four trends. The first, Strata, draws from the majesty of the landscape. Not verdant rolling hills and forests though, instead the rugged beauty of cliff faces, ice and gagged rocks. Materials are raw, dry, uneven and roughly finished. Tones of black, grey and silver are accented by off-whites, sky blues and heather purples. Materials created through natural processes are juxtaposed with polished manmade surfaces. This is raw, challenging and sublime. 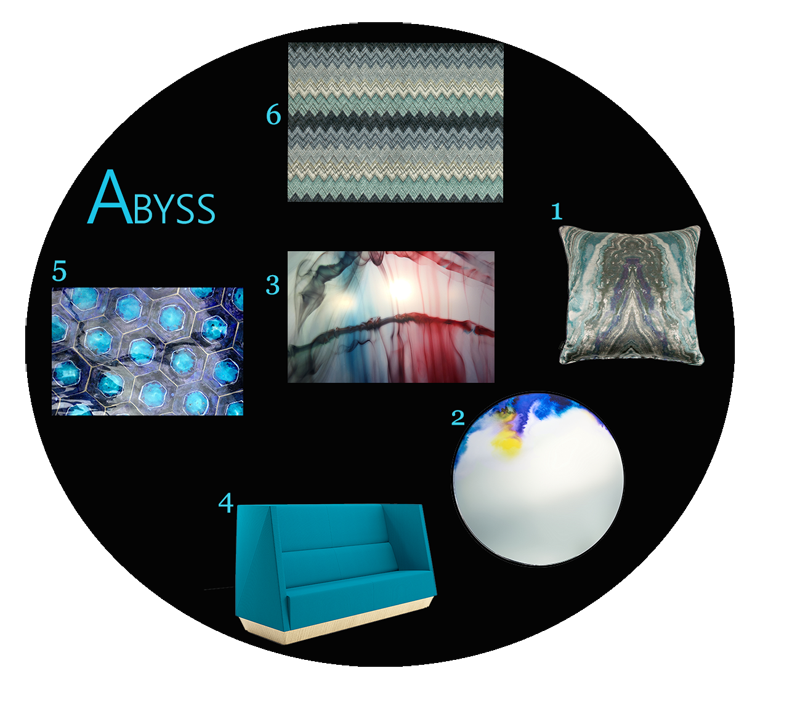 The second, Abyss, explores the uncharted, unmapped world. What mysteries lie inside the volcano, beneath the sea? It’s a weird and wonderful world where reality appears distorted, almost alien. Teal, pink and yellow emerge from the gloomy depths as shocks of neon. Pattern and form are unexpected while materials are stranger still. Glass is paired with velvet, concrete with silk. The overall effect is of a magnificent fish glimpsed in the light of the deep sea diver’s torch. The third, Ripe, is dark, sensual and utterly irresistible. Baroque shapes are framed by twisting vines. The colours are of rich fruit and inky 17th century Dutch paintings. Overripe plums and acid lemon contrast with moss green, petrol blue and mauve to suggest both decadence and decay. Tapestries and embroidery are the heirlooms of yesteryear embellished with metallic finishes. It is dark, gothic and opulent, with hints of glorious excess. 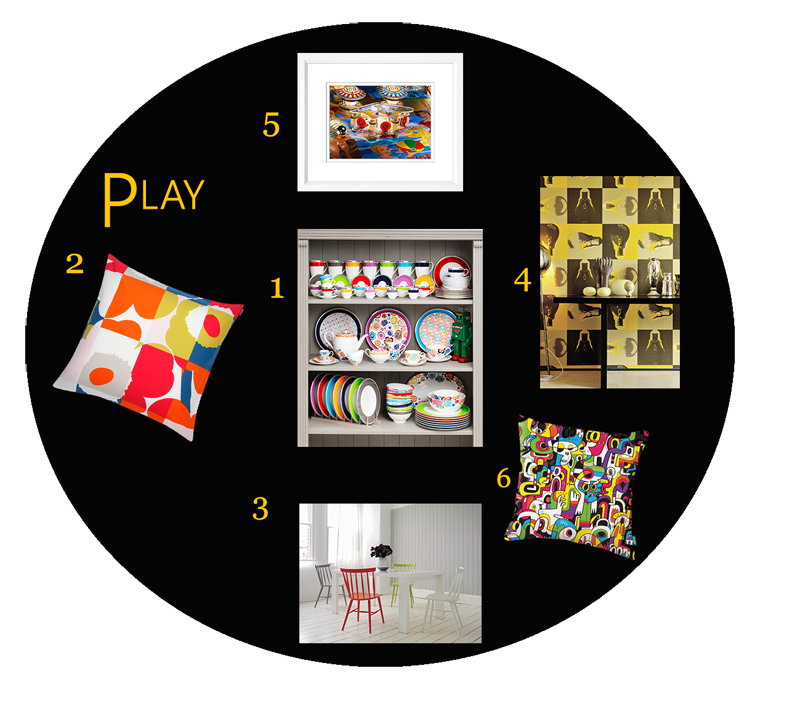 The fourth and final trend is Play. In complete contrast to the others, its bold use of primary colours suggests optimism and energy. Paler colours temper the brights and stop the palate from feeling childish. In fact, the trend has the charm of Orphism blended with the joy of the Memphis Movement where Minimalism met Pop Culture. Geometric prints evoke memories of low-tech, retro puzzle games while the painted hard materials such as glass, wood and plastic are delightfully tactile. The key is the element of surprise that will appeal to everyone’s inner child. These four, very different trends for autumn and winter 2016, have sent the team into a flurry of excitement. 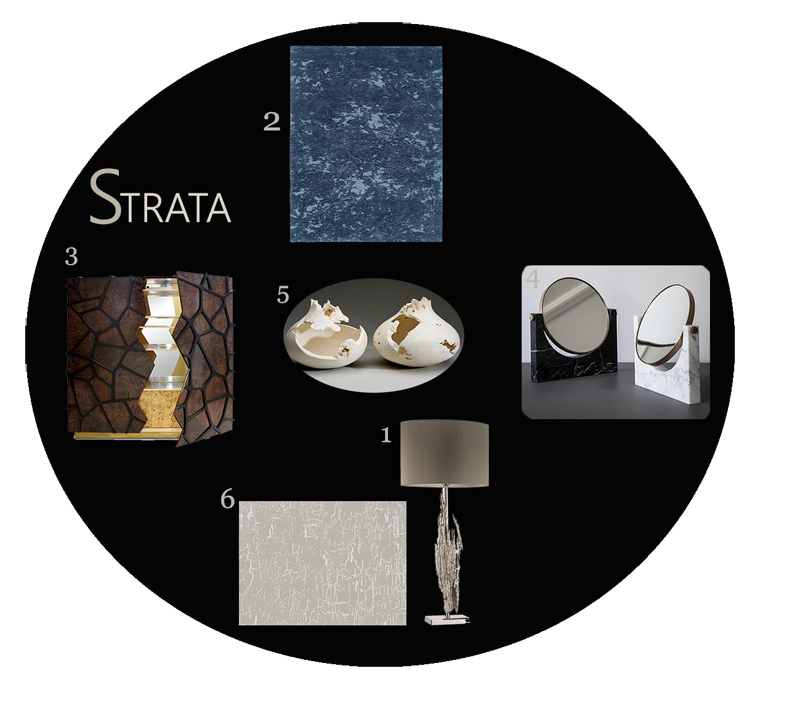 Mood boards, colour palettes and product possibilities are already being developed. If you feel inspired to transform your interior to a palace of granite and ice, an underwater kingdom, a baroque masterpiece or a playful space, then get in touch with the ani M INTERIORS team to bring these trends to your home.